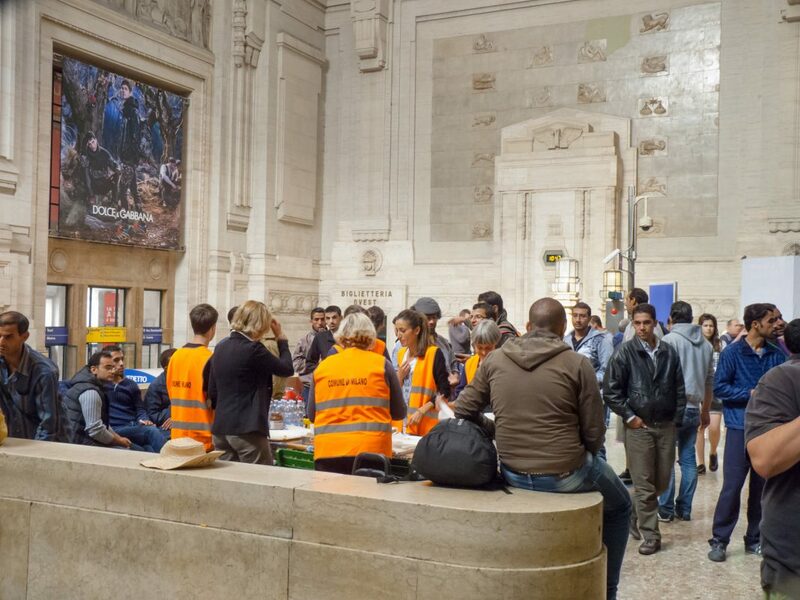 A kind of soup kitchen for asylum-seekers from Syria, run by the Comune of Milano in Milano Centrale station, September, 2014. On the occasion of the annual World Day of Migrants and Refugees, Caritas Europa has called on the European Union and member states to foster a welcoming Europe that values a culture of encounter, where everybody is welcomed, promoted, protected and integrated. Caritas has thousands of projects that foster and promote migrant integration across Europe, along with concrete recommendations to policy makers at European and national level. “The most important lesson learned in our daily interaction with the most marginalised is that working with migrants is just as important as working with receiving communities in order to contribute to a positive, constructive approach to integration that benefits everyone,” said Antonio Fantasia, Caritas Europa expert on integration.